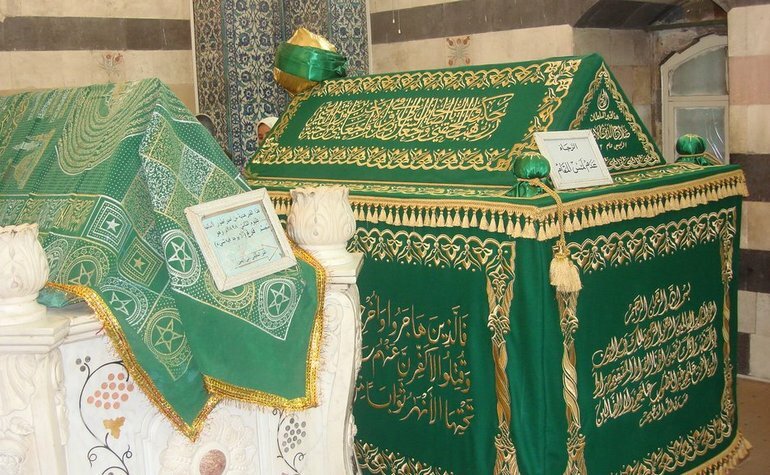 The green tomb on the right houses the grave of Salahuddin Ayyubi, the great general who repelled the Crusaders at the Horns of Hattin in northern Palestine and recaptured Jerusalem for the Muslims on 2nd October 1187 CE. On the left is an empty marble sarcophagus donated by Emperor Wilhelm II of Germany to the mausoleum. Salahuddin Ayyubi’s real name was Yusuf ibn Ayyub, the title of Salahuddin which he was given due to his extraordinary qualities means ‘the Righteousness of the Faith’. He was born in Tikrit, in modern-day central Iraq, His family was of Kurdish background and ancestry, Between 1187 and 1189 CE Salahuddin Ayyubi took 50 Crusader castles and much of the Crusader kingdom. However, even his enemies thought him chivalrous and honourable. During the siege of Kerak castle he refused to bombard a tower in which a honeymoon couple were staying. He and Richard (the Lionheart) grew to respect one another as military leaders. When Salahuddin Ayyubi heard that Richard had fallen ill in Ascalon, he sent peaches and pears to help restore him to health. He also sent packs of snow from Mount Hermann to cool the King’s fever. At Arsuf, when Richard lost his horse, Salahuddin sent him two replacements. The Jewish philosopher Maimonides was one of Salahuddin Ayyubi’s personal physicians. When Jerusalem was recaptured, Salahuddin invited the Jews, who had been excluded by the Crusaders to come back, in particular the Jews of Ashkelon responded to his request. 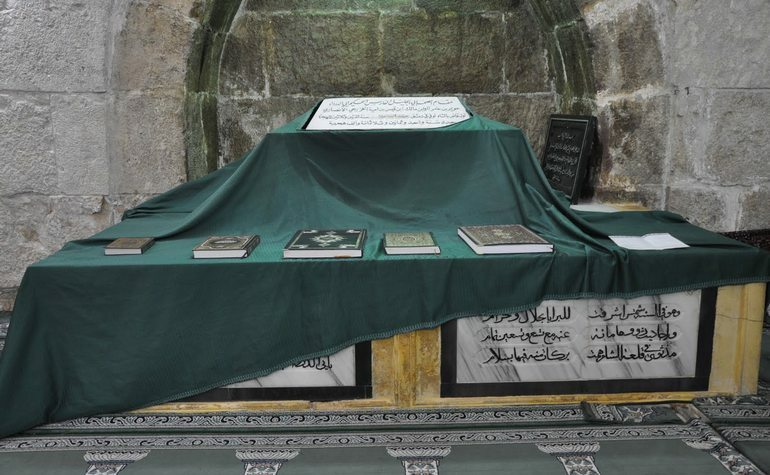 Salahuddin died of a fever on March 4, 1193, at Damascus, not long after Richard’s departure. 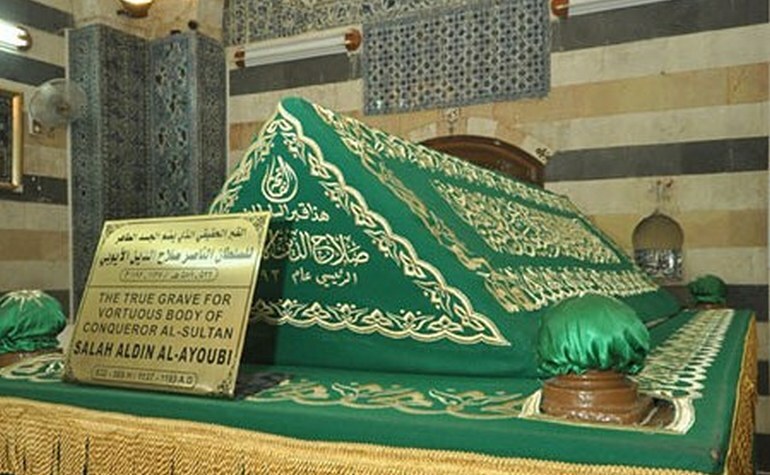 Since Salahuddin had given most of his money away for charity, when they opened his treasury they found there was not enough money to pay for his funeral.